When you give to a charity, you’re giving because you care and want to help — and you want to be sure your money actually gets to those you’re trying to help. But scammers who pretend to be a charity try to get to your wallet. So consider these tips before you give. 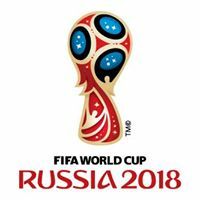 The 2018 World Cup kicks off on June 14, 2018 in Moscow. Soccer’s rising stars like Argentina’s Paulo Dybala, France’s Kylian Mbappé, and Brazil’s Gabriel Jesus will join World Cup veterans Cristiano Ronaldo, Luis Suárez, Isco, Toni Kroos, Neymar, and Lionel Messi to vie for the coveted World Cup trophy. If you’re looking to buy World Cup tickets, here’s what you need to know about buying official match tickets and avoiding a fake ticket scam.